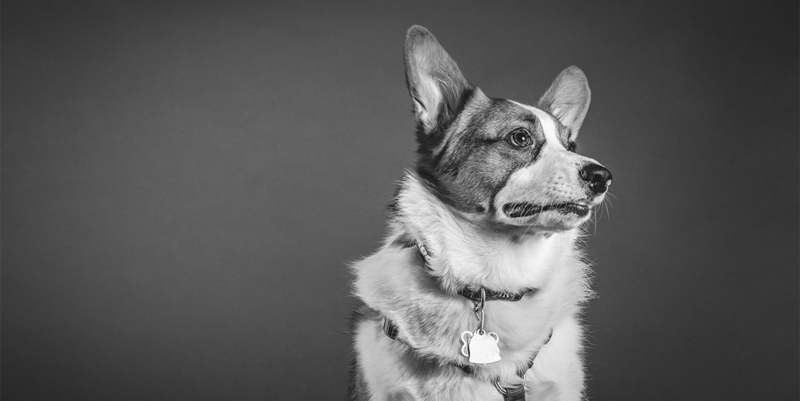 What can corgis teach us about Neanderthals? The concept of a species is something we often assume as set in stone—once a species, always a species. But the recent news of the sequencing of an ancient human hybrid reminds us that the process of defining a species, even our own, is rarely straightforward. Coming in at 12 inches tall and weighing approximately 30 pounds, the Pembroke Welsh Corgi has become a towering celebrity (figuratively speaking) amongst dog lovers. Watching corgis galavant down city streets, it’s hard to believe they’re related to timber wolves, much less that they’re the same species. Archeological and genetic research tell us that dogs have been living apart from wolves for at least 20,000 years, slowly evolving new traits along the way1. But even after all this time, it’s still possible to get a viable and fertile dog-wolf hybrid, which is why wolves and corgis are classified as the same species. This definition of “species”—which we still commonly use today—was first introduced in 1942 by the zoologist Ernst Mayr, calling them “groups of actually or potentially interbreeding natural populations which are reproductively isolated from other such groups.” To put it another way, a species can be defined as a group of animals that are capable of producing viable and fertile offspring2,3. Though this is a popular definition, it’s not the only one2-4. Determining whether two animals could mate is challenging when the animals only coexisted 200,000 years ago. For this reason, the definition of a species proposed by Mayr doesn’t work well for scientists studying the fossils of ancient humans. Instead, they’ve classically relied on grouping extinct species based on defining characteristics—such as a unique skull, jaw, or pelvic shape. This method is how scientists managed to describe different species of human beings. What we know as anatomically modern man, or Homo sapiens sapiens, first appeared in Africa around 200,000 years ago5. At that point in time, Neanderthals and Denisovans were well established in Eurasia, having already lived there as distinct groups for at least a few hundred thousand years5. Although all three groups can be classified as humans, archeological data showed that Neanderthals and Homo sapiens sapiens were different. Not only did they evolve in different parts of the world, they also had distinctive bone structures. Taken together, this was enough information for scientists to classify Neanderthals as a species separate from our own. But with the advent of DNA sequencing, the line dividing Homo sapiens sapiens from Neanderthals has become blurred. Is Homo sapiens sapiens a typo? Surprisingly, it’s no typo. Typically, we refer to ourselves as just Homo sapiens, however that’s not our full name. Modern humans have been classified as a subspecies of Homo sapiens known as Homo sapiens sapiens. This is to set us apart from other subspecies, like Homo sapiens neanderthalensis—more typically referred to as just Neanderthals. This is similar to how dogs are Canis lupus familiaris while wolves are Canis lupus lupus. DNA sequencing of modern humans has shown that about 2% of most people’s DNA is from some form of archaic human—Neanderthals, Denisovans, or other unknown species6,7. It was once thought that Homo sapiens sapiens replaced Neanderthals in Eurasia by driving them to extinction shortly after leaving Africa. However, the common occurrence of archaic DNA in modern humans indicates that at least some Neanderthals assimilated with Homo sapiens sapiens approximately 50,000-80,000 years ago8. This leads to two conclusions: First, that while the arrival of modern humans may have pushed towards the extinction of Neanderthals and Denisovans, it was not a simple replacement; and second, that Homo sapiens sapiens and these other human species could produce viable offspring—challenging the very idea that they were different species. This understanding of how Homo sapiens, Neanderthals, Denisovans and other ancient human groups are related to one another is still unfolding as DNA sequencing methods continue to improve. Just this month, scientists announced the sequencing of an ancient human hybrid whose DNA was half Neanderthal and half Denisovan9. This DNA sequence provided hard evidence that these two species of human could produce children. According to Mayr, the ability to produce reproductively viable children is only possible between members of the same species. While it’s not currently possible to say whether this individual was fertile, the discovery of this hybrid combined with the presence of archaic DNA in modern humans remind us that we are more similar than we once thought. Perhaps one day we’ll look at Neanderthals as the archaic wolves to our modern corgi. Ready to explore your ancient roots? Find out if you have any Neanderthal DNA with Geno 2.0 from National Geographic or Neanderthal from Insitome. 1Lallensack, Rachael. “Ancient Genomes Heat up Dog Domestication Debate.” Nature, 2017, doi:10.1038/nature.2017.22320. 2Hey, J. “On the Failure of Modern Species Concepts.” Trends in Ecology & Evolution, vol. 21, no. 8, 8 June 2006, pp. 447–450., doi:10.1016/j.tree.2006.05.011. 3Aldhebiani, Amal Y. “Species Concept and Speciation.” Saudi Journal of Biological Sciences 25.3 (2018): 437–440. PMC. Web. 30 Aug. 2018. 4Baker, Robert J., and Robert D. Bradley. “SPECIATION IN MAMMALS AND THE GENETIC SPECIES CONCEPT.” Journal of mammalogy 87.4 (2006): 643–662. Print. 5Nielsen, Rasmus et al. “Tracing the Peopling of the World through Genomics.” Nature 541.7637 (2017): 302–310. PMC. 6Marciniak, Stephanie, and George H. Perry. “Harnessing ancient genomes to study the history of human adaptation.” Nature Reviews Genetics, vol. 18, no. 11, Nov. 2017, pp. 659–674., doi:10.1038/nrg.2017.65. Web. 30 Aug. 2018. 7Hammer, Michael F. et al. “Genetic Evidence for Archaic Admixture in Africa.” Proceedings of the National Academy of Sciences of the United States of America 108.37 (2011): 15123–15128. PMC. Web. 30 Aug. 2018. 8Sankararaman, Sriram et al. “The Date of Interbreeding between Neandertals and Modern Humans.” Ed. Joshua M. Akey. PLoS Genetics 8.10 (2012): e1002947. PMC. Web. 14 July 2018. 9Slon, Viviane, et al. “The Genome of the Offspring of a Neanderthal Mother and a Denisovan Father.” Nature, 2018, doi:10.1038/s41586-018-0455-x.